Need for Speed: Underground 2 (NFSU2 or NFSUG2) is a cross-platform racing video game and the eighth installment in the popular Need for Speed driving game series published and developed by Electronic Arts. 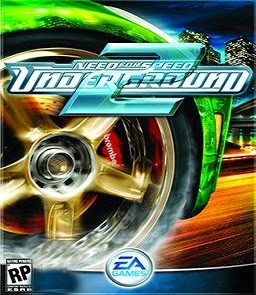 Released in 2004, it is the direct sequel to Need for Speed: Underground, and is part of the Need for Speed series. Developer: EA Canada, Pocketeers (GBA). 1. First Open - "Need For Speed Underground 2.exe" Setup File. WHERE HAVE TO CLICK TO START DOWNLOAD? bro ... why i can't set up this file? AWESOME SITE...I GOT NFSW NFSC and NFSU2 from here....THANKS!!!! Check the settings and go for it. Yes bro. How can I help you? Need Help Dude, After I started this game I can´t hear any Soundtrack,Hear Rachel speak in my Inbox and also I cannot see any Vinyls on my Car. I think there is a download problem in your file. Please download it again this could fix your problem. awesome site i have downloaded gta vice city, nfs carbon,nfs underground 1&2 . Hey Admin please upload bus driving game. guyzzz plsss update the links..!!! Yes it works and Win8 also. THE BEST SITE!!! No surveys, anything..
are this game is working? All Games in AllTypeHacks are working. This game is old. You need to set up compatibility settings to run it. Right Click on File goto Properties and select Compatibility Tab.